May the lowly Handmaid of the Lord guide us in the little path of self-forgetfulness! May countless souls learn to address her with the author’s prayer! Our Divine Master takes the faithful servant into His employ and raises him to the status of a domestic servitor. He confides to him the interests of His glory, and the defense of His Church. The Almighty God charges him with combating error and with spreading the truth. He must stigmatize vice and encourage virtue. The loyal servant is known by his indefatigable zeal, upright bearing, noble disinterestedness and impeccable fidelity. With him, there is no compromise. There is no truce. How well the enemy knows this – ¬and fears this valiant soldier of Jesus Christ! The simple soul, being nothing in her own eyes, is like this good and faithful servant. Having forgotten herself, she is not liable to surprise when attack or hardship comes her way. Other more self-proclaiming souls attempt to ensnare and entangle the Almighty in the schemes of their own making, seeking to force the Will of God into submission to their own stubborn willfulness, but the eyes of the simple soul remain attentively upon the Face of God, and she is conformed to His Will. Simplicity and unselfishness often cause astonishment in our world so fraught with duplicity and egoism. Worldly creatures attempt to exploit the innocence and uprightness of the simple soul for their own profit. They lay snares for her, and try to deceive her good faith. But the childlike soul is not concerned – she knows well that the Holy Ghost will put into her mouth the words she is to speak for, not only does Jesus think for her, He also repairs the errors she inadvertently commits through her ignorance and improvidence. Love and devotion are charming virtues which schism, heresy and “free thought” have striven to reproduce, but in vain! Any attempt to do the work of love, without actually having love in the soul, produces emptiness, and the heart is torn with grief. Is not the number of ardent souls growing less every day? Is there not a thinning of the ranks in the army of Jesus? Selfishness has presumed and resumed the direction of this world. The poison of self-centeredness has infected homes, convents and the whole of society. Subtly, at first, it has now invaded and penetrated into the core of family life – yes, even into the very Church Herself! No longer is it Jesus Who reigns as the Eternal King of the earth – it is Satan. Jesus, shoved aside by prideful souls, has taken His leave … and He has taken His Love and Light with Him. Darkness is gathering around us; the cold is growing more intense. Frightful paganism and schism is returning like a hideous specter, threatening to envelop us all in its immense and foreboding shroud. The soul, entirely surrendered to Jesus, is Hell’s most redoubtable foe! Devotion and Selfless Love are the only and ever victorious weapons. They are supernatural arms, requiring a saint to wield them constantly and unfailingly. Forget thyself … always shower benefits upon those around thee, always seek to render good for evil, without expecting acknowledgement or esteem. Is this not beautiful? Is this not the Divine way? Our vanity deludes us; we are not indispensable upon earth. God is surely able to govern His universe without us. Our place here below is restricted, and our influence limited … unless we belong body and soul to God; unless, by the renunciation of our own will, we are absolutely docile instruments in His Hands. Then, and only then, will the Holy Will of God be accomplished. United to the Cross, earthly ties are broken, and we are sanctified. The gentle fire of suffering, emptying the soul of self, will make of her a sweet smelling holocaust. Surrendered to Jesus Christ, she offers the sacrifice of herself as a perpetual Mass, which will be completed at the hour of her death. Our soul, as both victim and consecrating priest, unites us totally to Christ. Let us allow ourselves to be immolated – for from this slow and painful death will come life – for ourselves and for others! With Jesus Christ, we shall save the world; with Him, we shall expiate the faults of men. With Him, we shall participate in the sanctification of souls! Our Holy Mother of Dolores, most sorely-tried of creatures, is for us a perfect model of self-abandonment. Her sanctity, Her selfless gift of abnegation to God, Her total trust in His Divine Will – these are the SECRETS OF HER SANCTITY! Our Blessed Savior very clearly elaborated His program of Life… His Kingdom is a spiritual one wherein the poor, the afflicted, the persecuted, the meek, the merciful, and the pure of heart are those who enter therein. Let us then take up our cross and suffer with Jesus Christ, for by our sufferings and crosses we apply to souls the satisfaction and merits of Our Blessed Lord’s Passion and Death. The enemy of our intimate union with God is our want of mortification ~ our fear of the Cross. This strangles our efforts and our prayers; it keeps us chained to earth and renders weak both the Sacraments and our poor prayers. Let us not forget, all earthly attachments seek to enslave us. The Cross is our way to freedom from these enslavements. The Cross is a plea for liberty. To dedicate ourselves to suffering, to repair God’s outraged Majesty and His unrequited Love… what a sublime duty and magnificent manifestation of God’s goodness and generosity! The Cross unites us to Him and opens for mankind the treasures of His Most Sacred Heart! Our every painful trial bears resemblance to the excellent Passion of Jesus Christ, which, when endured with patience, makes us like Him Who endured it for us. Jesus Christ took up His Cross, kissed It because He loved us and showed us how it must be borne. Our crosses are gifts from God. Patience is the virtue of the martyrs; patience made them wise; patience gave them victory over all their enemies; patience made them perfect. Happy are they that find the Cross, embrace It, and live and die without ever descending from It. These, then, are those who live in Thy company, O my God, and die in Thy Arms. Mary acted in concert with Christ in redeeming the human race. Mary’s love for Her Son was so great that, in a very real way, the sufferings of Her Divine Son became Her own. 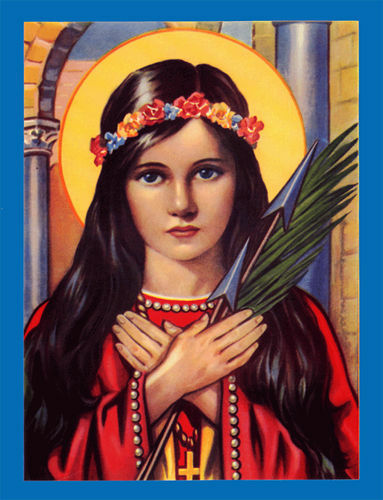 MARY is the Queen of Martyrs, the Martyr of Love! We shall never in this life fathom the love of Our Lady for Her Divine Son, thus we can never fully comprehend Her sufferings, which are without measure! Oh, how beautiful is Mary in Her long martyrdom! How majestic Her strength and sweetness! Is the principal practice and Purpose of devotion to the Immaculate Heart of Mary? It is reparation that will restore to mankind love for God. Today, the Sacred Hearts of Jesus and Mary are surrounded by our irreverence, ingratitude, sacrilege, coldness and contempt of heart. There is nothing that unites us so closely to the Sacred Hearts of Jesus and Mary as the CROSS. O Mary, grant that, like you, I may accept the sword of suffering and that, like you, I may be submissive and RESIGNED! Let no man say, there are no real enemies here to combat! For, they are our ever-present, deadly, cruel and most deceptive enemies: sin, the devil and everything that seeks to enslave God’s children. We are locked in a fatal battle, the prize of which is our eternal soul. The weapons which will bring victory in this battle are self-denial, sacrifice, prayer, labor, suffering and the Cross- all must be embraced joyfully and willingly! Our afflictions, humiliations and devotion to duty serve as the greatest defense we have in building up the Kingdom of God. We must be on fire with love of the Cross! The active apostolate could bear no fruit without the great gift of the Apostolate of Prayer and Suffering. Thank you, dear Lord, for this high privilege of being one with Thee in the work of saving souls. Let us take our place with Mary at the foot of the Cross. It is our birthplace. We became Her children there. We do not have sinlessness in common with our Mother, but sorrow is common to us both. If there were no Original Sin, suffering would be unknown to the children of men. We have committed many sins; therefore, we have contracted a great debt to God. The Passion of Our Blessed Lord and Savior is intended to unite our hearts to His in that easy and sweet worship which is founded upon compassion. How blind we are if we view suffering as a punishment or calamity, and see prosperity as a sign of His favor. God sends suffering so that we may atone here for our past sins; He sends suffering to prevent our committing sin or to draw us out of sin; and most importantly, He sends suffering to us, His chosen ones, to make us partake in His Redemptive action, to become like Him: to be with Him ~ “SAVIORS TO MANY”! With courage and peace of soul, may we take our place on the Hill of Calvary beside Our Mother and His, to offer the oblation of our poor lives to the Father, for souls! Through the prayers and the suffering of many, our active apostolate bears abundant fruit. The Triumph of the Immaculate Heart of Mary will be borne of the patient prayer of suffering carried by many a hidden soul. We salute you, true soldiers of Jesus Crucified! Through your prayers and sufferings, the precious flask of Sanctifying Grace is brought to those near death and the life¬-blood of their soul is revived. Your generous and persevering efforts so as to procure the Glory of God will have their effect in time and throughout all Eternity! A CROSS is a CROWN begun! No matter how long the years may be, let no murmur escape my lips, no unkind thought take shelter in my heart, no self-seeking lurk within my soul! With a smile on my lips and a song of joy within my heart, I will walk courageously with Thee, O IMMACULATA, TO THE END! May the Most Just, Most High and Most Adorable Will of God be done in all things: Praised and magnified always and forever! RISE, THEN, and STAND With MARY On CALVARY! SORROW is the Gold of the KINGDOM of Heaven. No favor may be compared to that of carrying the Cross with Jesus Christ! The Immaculate Virgin Mary receives with love all our sorrows and sufferings and she treasures them in the vault of her Immaculate Heart. 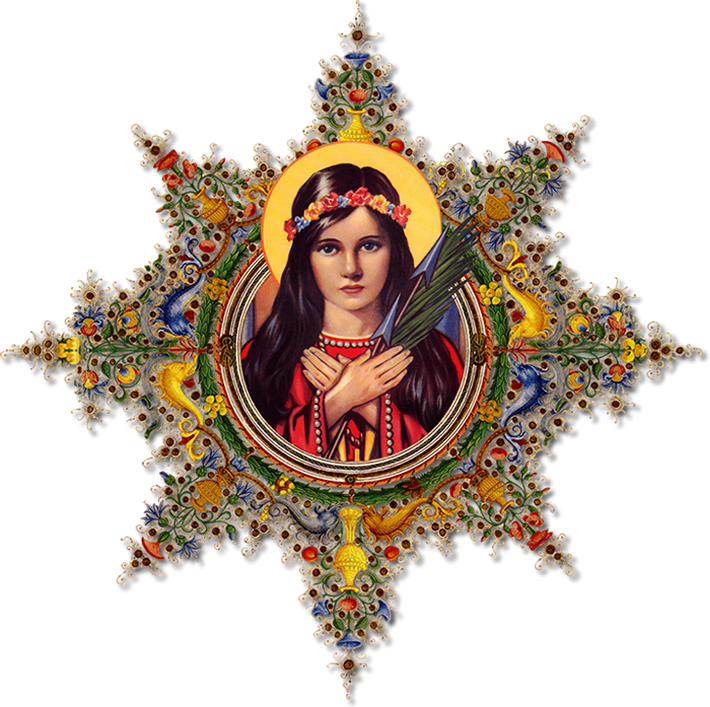 In return, she issues to us coins a thousand times their importance: coins of consolation, peace of soul, love and joy. The Crucifix is the scepter of the KING of Kings, the Symbol of His Power, the Memorial of His Love. In the Cross is all hope, all love and all safety for the offspring of Mary. By this sign, Her children WILL CONQUER. 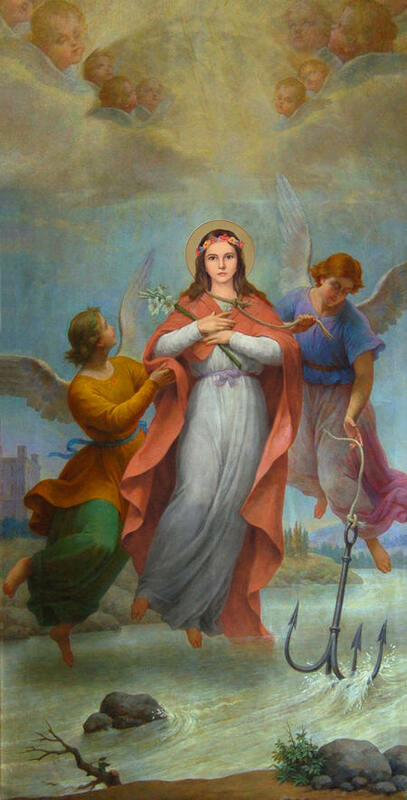 Every saint owes Heaven to Her. Do you wish to be close to God; you must be close to Mary! “God has committed to Mary the treasury of all good things in order that everyone may know… that through Her are obtained: every hope, every grace, all salvation! For this is the Will of God.” (Pope Pius IX) Mary stands inflexible at the foot of the Cross ~ resigned, patient and suffering. Christ is Her life, yet She wills that He suffer and that He die. For unless He suffer and die, how can we, Her beloved children, live? In a very true sense, Our Lady suffered His crucifixion for us … Behold our Co-Redemptrix! To those God loves, He gives the heaviest crosses. And those who love Him discover in these crosses the most profound joy. All who travel with Jesus and Mary, travel lightly. LET THE MASS BEGIN! This is the greatest love story ever told, the Love of JESUS for sinners, the Love of God for man. The Sacrifice is consummated now and Mary stands at the foot of the Cross with the sword through Her Heart, the sword of our salvation. I gaze upon Her and look at that lovely, glorious uplifted face and the light that blazes in Her eyes… She weeps not for Jesus, but for sinners. Mary has no need of human consolation for She bears the Light eternal in Her soul. HE has TRIUMPHED gloriously!!! Love redeemed the World, and only Love can SAVE it! Let us take our stand with Mary on Calvary and take an active part in our Redemption in three blessed ways: the Apostolate of Action, the Apostolate of Prayer and the Apostolate of Suffering. 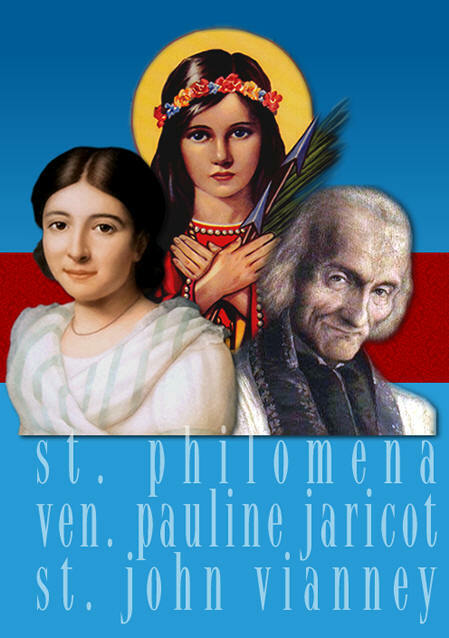 The achievement of the Active Apostolate depends upon the prayers and sufferings of many. Christ has merited by His Passion and Death an infinite amount of redemptive graces. Still, He gives to us a special part in helping to distribute them. Our physical pains, humiliations, failures, losses and voluntary penances contribute to distributing the merits of Christ’s Passion. In the light of the Cross, they are the brilliant diamonds which purchase the most precious graces for souls. Blessed are they who weep, with Jesus in His Passion and Mary in her Sorrows! We, Christians, must realize that beyond our duty of becoming like to Christ and being united to Him, there remains the task of bringing Christ to as many others as possible, indeed, the noblest of all works! Perhaps all along we have taken for granted that our part in the Redemption was one of receiving and not of giving. We must aim to take a full and active part in the great work of Redemption. We must realize our physical pains, sickness, humiliations, inclement weather, disappointments, failures, losses, mental trials and voluntary penances as our contribution in distributing the merits of Christ’s Passion. Through our sufferings, we have been given a vital administrative role in Christ’s redemptive merits. 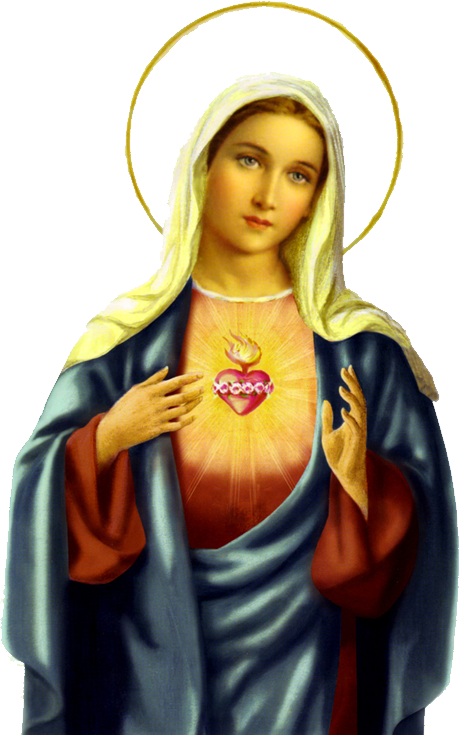 In a very real sense, but secondary, we do become co-redeemers with Christ through the Immaculate Heart of Mary. It is a privilege and divine grace to bear these sufferings in Christ’s place for the building up of the Mystical Body of Christ. Today, people are intent upon the gaining of indulgences. I wonder, however, if they ever think about making their donation to the treasury of the Church by which these indulgences become available to others. God allows us to do this and thus encourages us to co-operate with His Son in this wonderful work of satisfaction. Right here, we can show our profound loyalty, friendship and love for God by helping others benefit from His gifts of Redemption. “Dear Lord, accept this suffering that these souls may increase in holiness…” etc. May God’s intentions, desires, patience and all-consuming love become ours! We will recognize our success in this effort only when we are so taken up with Him that we forget ALTOGETHER ourselves! O My God, I believe, I adore, I trust and I love Thee. I beg pardon for those who do not believe, do not adore, do not trust and do not love Thee. Make your whole day and your whole life: your work, your influence, and your every action, the expression of your surrender of self to God. If, all through the day, you meet with suffering, disappointment, persecution and ridicule, do not grumble ~ this is your Mass! Wherever there is an opportunity to reach out to your neighbor, to make him better, happier or to relieve his suffering, don’t excuse your-self, do not shirk it ~ this is your Mass! And, when death finally comes and calls you to the Master, make the offering of your life the last act of your Mass, the last great YES to the Holy Will of God. We must be absorbed with an insatiable longing to carry out His least desires and interests. God must be our ALL! GOD ALONE! By our Baptism, we have been made flesh of the Crucified One! Let us flee from the vices and blandishment of the world, which contribute not anything to the Christian formation of the soul, nothing toward Heaven. Prayer is our life of love with God. Prayer elevates, SUPERNATURALIZES and makes God-like our sufferings and crosses. Both prayer and suffering are closely related. The law of love is the law of likeness. Now, we are becoming like unto Christ, our Divine Beloved. 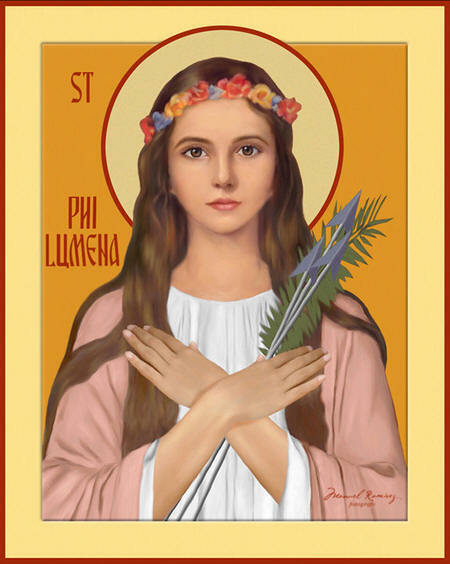 You are currently browsing the Universal Living Rosary Association of Saint Philomena (ULRA) blog archives for August, 2012.